This page includes all gardening events in the area, whether they are organised by Llanrhaeadr Gardening Club (Club Event) or other known local events that gardeners may be interested in, ie events held by the National Trust (NT Event), Shropshire Organic Gardeners (SOGs Event) etc. Keep watching this space, new events will be added. will be discussing some important changes to the format of the meetings, subscriptions and the programme for 2013. There will also be an extended slideshow of the garden visits and events we took part in last year. Refreshments will be served after the meeting so please arrive promptly as you won’t be queuing at the bar and we can start at 7.30 on the dot. Talk by Kate Nicholls ‘Restoration of the National Trust walled garden at Attingham Park’. Kate is the gardener in charge of this. Thurs 21st Feb, 7.20pm - Trefonen Quiz - the Trefonen Garden Club are putting on one of their marvellous quiz evenings, Small fee includes refreshments. Take own tipple but tea /coffee provided. We ought to be able to put two teams in! Trials committee and this talk is based on two treks made to the remote area of N Sikkim in 2001 and 2002. We are very lucky to be able to welcome Chris to our humble garden club once more. Derek Jones giving a talk about how to grow potatoes at St Chad’s, St Chad's Terrace, Shrewsbury SY1 1JX. Tues 12th Mar Chris Beardshaw at Malbank School. Tickets £12 - contact 01270 626952. This is to celebrate Nantwich Garden Guild 50th Anniversary. Not too far from Bridgmere if you want to make it a whole day out and Nantwich is a lovely little town full of lovely shops and eating places. Talk by Andrew Humpris, Wollerton Old Hall - Past & Present Andrew is the head gardener of this Arts and Crafts masterpiece of ‘rooms’, each with their own style. The garden is set around a 16thcentury house which unfortunately is not open but they do have a wonderful tea room. Garden Accesories. Vere needs no introduction. 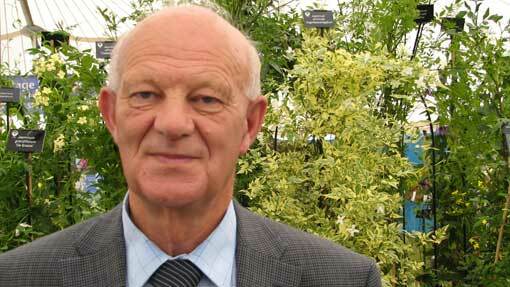 Expect another humorous talk from this Norfolk gardener who once worked for Blooms of Bressingham. Expect plants for sale too. Plant Sale - This is the only sale of the year, so please start propagating now. at the Wynnstay Arms Hotel. Priest Weston gardens, Montgomeryshire SY15 6DF 10-5pm (new) and Marehay Farm, Ratlinghope, Shropshire. SY5 0SJ nearby. 11 till 6pm NGS openings. No need to book. Take a picnic. See yellow book for more details. needed please and whether you want a meal. Barbara Molesworth, garden and new Eco house and Garden £3 per head, Garden Croft, Daisy Lane, Whittington SY11 4EA, 650711 and possibly Otteley at Ellesmere. We could do an ‘early bird’ meal at the White Lion, Whittington as before. Numbers needed and whether you want a meal. 12-5pm. Lunch available in tea room. No picnicking allowed. £6 BUT GROUPS OF 25 OR MORE £5.50.Call at County Garden Roses on way there or on way home 10 -5pm. Tea room with nice cakes. Hadnall, Nr Shrewsbury SY4 3DH 01939 210 380. Good idea to car share for this one. refreshments. Meet in square at 1.30pm. Price £6.50 members, £12 non-members. Time, 9am from the square. 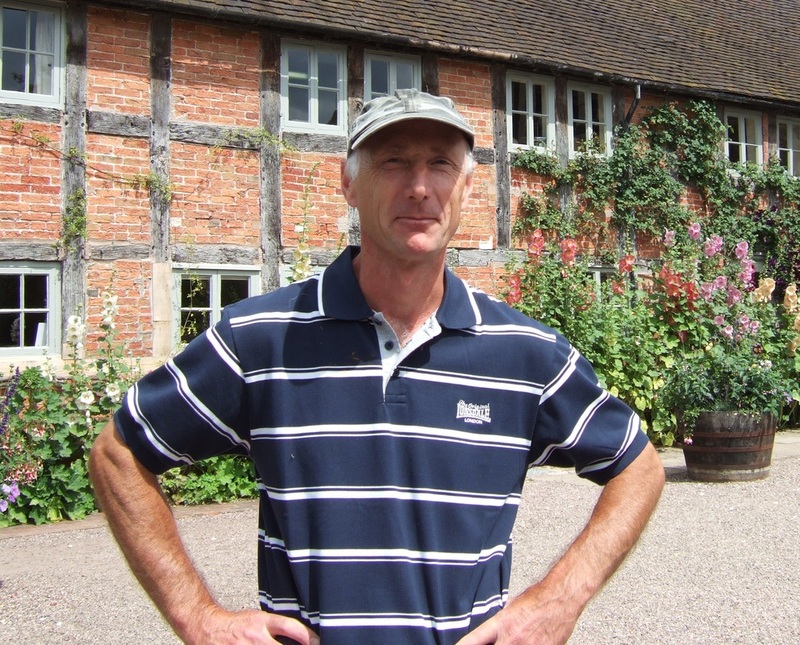 Talk by Mark Duffell, ‘A Plantsman’s travels in Cuba’. A return visit from botanist Mark, this time taking us to Cuba. Expect pics of chasing steam trains across sugar cane fields, exotic landscapes, botanic gardens, local interest etc. Talk by Jeannette Bolton, Texture, Form and Structure in the Garden. We visited Jeannette’s garden last year. Jeannette is chairman of Trefonen garden club and is extremely knowledgeable about all things ‘plants’.